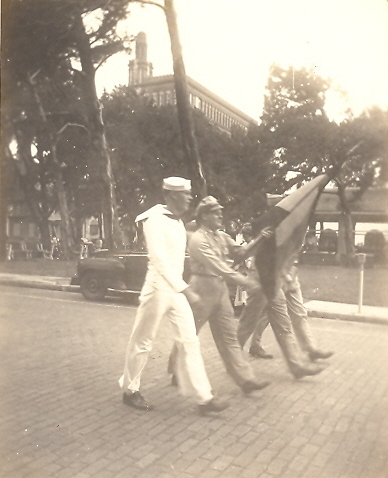 Veterans Day is Sunday November 11. Today, November 12 is the Federal Holiday in the US. Veterans Day, formerly known as Armistice Day, was originally set as a holiday to honor the end of World War I, which officially took place on November 11, 1918. It is also celebrated as Armistice Day or Remembrance Day in other parts of the world. In 1954 Congress amended the Act of 1938 by striking out the word "Armistice" and inserting the word "Veterans." On June 1, 1954, November 11th became a day to honor American veterans of all wars. The difference between Veterans Day and Memorial Day. I come from a family, who over the years, have served in every branch of the service in every conflict since WWI. I have ancestors who served in British conflicts back to the early 1800’s. Two great(too many greats back to count)uncles were in the Charge of the Light Brigade. They were members of the 11th Hussars, a unit in the British Army. Their names were Thomas Dunn, a corporal, and Alexander James Dunn, a lieutenant. Lt Dunn was killed in the battle. Corporal Thomas Dunn was one of the fabled survivors. I have stories of family in WWI but no proof. SO, fast forward to the next war to end all wars and I have many, many relatives who served. Some weren’t even in the military. Half of my family lives in Florida. Have since the early 1920s. An uncle owned several shrimp boats. One day, after the start of WWII, some scary guys in suits and uniforms showed up and said his boats were needed to protect the east coast from U-boats. There was no please. No thank you. No payment. All his boats were taken and he never got them back. He never complained. He was proud he could help. My husband was a Marine and served in Vietnam. We lost several friends there. It took me three trips to the Vietnam Wall before I could get the courage to walk the path and find their names. My son was with the first Marines into Bagdad. Our modern military epitomize honor, duty, and commitment. They are the youngest, most educated, dedicated and highly trained military to have served this country. You don’t need to shove them towards danger you need to hold them back. Many people think courage is the absence of fear. It isn’t! Courage is fear overcome. The willingness to face a danger to protect someone else. One week our military men and women are riding in helicopters, carrying M4s and H&K416s, and wearing sixty-five pounds of equipment. The next week they are riding in minivans carrying their child and wearing a t-shirt that has USA on it in bold red, white and blue letters. My definition of heroes and heroines. Please take time to honor and remember ALL the men and women who have served in the military. We owe them so much. Some of those heroes and heroines are the people who taught you to ride a bike, helped you with your home work and sacrificed to send you to college. Others reside in gardens of stone. When you say thank you tell them I am grateful also. What a great post, Rita! Thanks to your family for their dedication and service to our country. 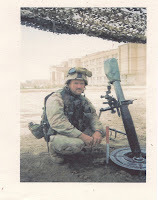 My son, Kelly, is also a Marine, 2 deployments to Kuwait/Iraq. I have too many men & women who have served to list them all here. But I will mention my grandfather who received a Purple Heart for stringing telegraph wire across France in WWI. 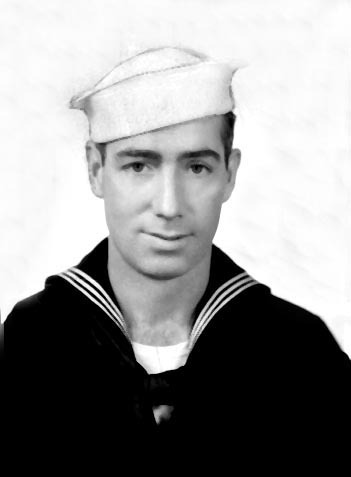 His son was one of the original fighting SeaBees in WWII(Yep, the crew John Wayne made a film about). Angi I believe you have military DNA also. Thank you for sharing your family heroes. Rita, what a wonderful blog article and tribute to our military heroes. I'd like to add my thanks to all those who serve our country and keep us safe as I did in the dedication of my debut novel. I don't have all of the information, rank, etc. for a dear friend who died last year(Raymond Jahn who was in his nineties, but thought I'd mention his name so he knows I'm thinking about him.) I will keep in mind the Wounded Warrior Foundation and support it. Also, your books are on the top of my TBR list, and I hope to get to them very soon. Mal, I will certainly take what you have offered. Out of curiosity do you know a branch of service or where he served? I’m sure he had stories, do you think he ever shared them? I'll check with his wife to get more information. And yes, he had lots of stories! I'll keep in touch with you. Rita, thank you so much for sharing this wonderful post. 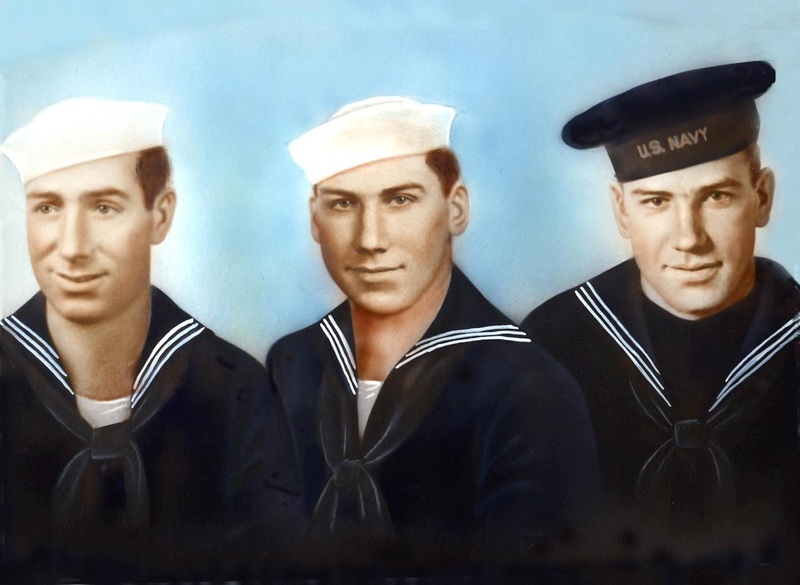 Farming was the big thing passed through the generations of my family, until my father decided to join the Navy. I don't know why he made that decision. It's kind of strange for a farmer in the middle of the country to decide to join the Navy, when he'd never even seen an ocean, but there you go. He served with distinction through the Vietnam war and many smaller conflicts. He was a Master Chief Petty Officer and retired after over twenty years. My sister and brother both joined the Navy as well, so I guess my dad started a new tradition in our family. Happy Veteran's Day to everyone. And to all of you who serve and to those who support them here at home, my deepest thank you and gratitude goes out to you. Lena, not so odd at all. The reason they joined the Navy was so they COULD see the ocean. They wanted more than the amber waves of grain. They wanted the real thing. Tell your family I said I am so very grateful for all they’ve done. Rita, wonderful post. What a great family you have. I am thankfully for the brave men and women who serve. Where to start for my family in the service of their country? 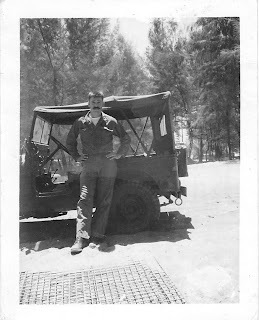 My dad--who gets left out the most :) Served in the British Paratroop Regiment, Cpl Neil Beddow, and served in Libya, Jordan, Israel & Palestine. My grandad who we just lost at the grand age of 91, left the army as a Battery Sgt Major in the Royal Artillery, John Mepham. My granny Sue and her sister Beat who both joined up during WWII. My gran was convinced one of her superiors poisoned her when she was pregnant and she lost her first baby. She never told them about my mom until she was very obviously pregnant. Beat's husband, Eric, who served his time in Burma but never spoke about the experience beyond his liking for curry. My other grandfather, Perce, who was a antiaircraft gunner (and my other granny who stayed home with the kids). My great uncle Charlie, who died during (I think) the Battle of Monte Cassino. I know I've missed some. Then there's DH whose Grandfather's diaries from the trenches are fascinating, and DH's brother who helped catch terrorists in NI. Brave men and women who deserve every honor for the sacrifices they made. Toni thank you for sharing all these. I hope as an author you coaxed as many stories out of them as possible. And diaries? How amazing. Gran was probably right. Chilling thought. Did you hear about the British soldier who gave birth this summer in Afghanistan? She didn’t know she was pregnant went to the docs about pain and she delivered a couple of hours later. A great post, Rita. I too want to shout out to all of our heroes and say thank you. I'm an army brat. My oldest son is an army brat (101st Airbourne. Both my father and 1st husband served during peace time. And my 2nd husband-best friend was Air Force and served during Vietman. Many of my uncles served and great relatives did too. So yeah, I understand the honor. I hear you about visiting the Vietnam Wall. It was a very moving moment for my DH and one I will never forget. Thanks for posting this today. Such an inspiring post. Thank you. Dad was a Vet in 2 wars. Cornelius K. Jr. and my husband served in Desert Storm Marc E. J. Blessings. Karen tell them i said thank you. 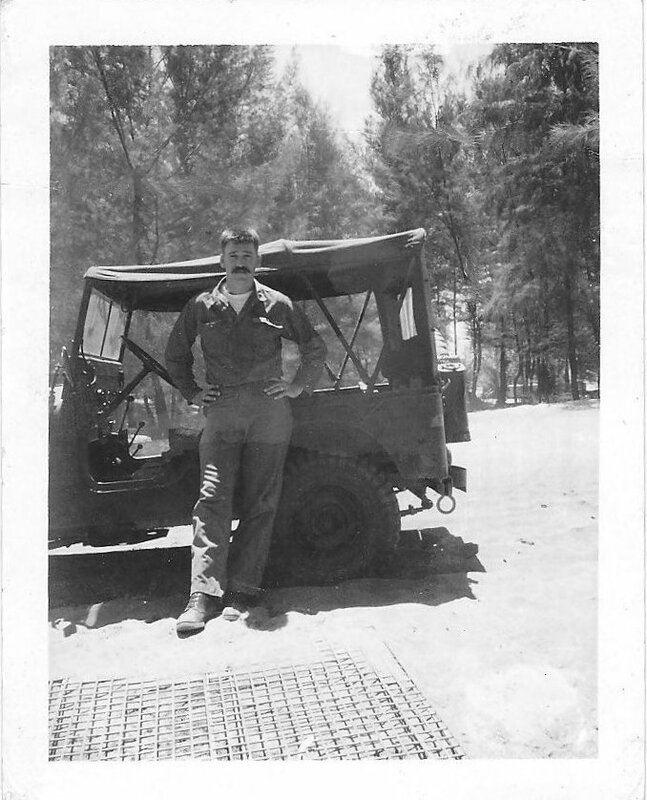 My father served in the Army during Vietnam (although he was stationed in Germany instead). My cousin (a West Point grad) served in Desert Storm. Thank you Amanda. Between us I'm glad your dad got to stay in Germany. What a beautiful post, Rita. My grandfathers both served in WWII - Lt. R.J. Andrews as pilot and navigator on two tours in bombers in Europe and Lt. David Sinclair as a pilot in the tiny little fighters in the Pacific theater. One of my best friends served for ten years in Naval intelligence and the fella I'm stepping out with these days is a 12 yr veteran of the Air National Guard who served in Iraq. Thank you for sharing. I hope there are written accounts of their WWll service. Tell them thank you from me and give hugs where appropriate. Thank you to all who shared today. I'm off to donate to Wounded Warriors.